We don’t know if there are two brewers in the city this good and this close to each other, 1.3 miles is the distance. A requisite stop at Honey Butter Fried Chicken along the route is a must. Neighboring Avondale and Logan Square are home to 7 breweries. When discussing proximity, Pipeworks famously shares a wall with Off Color, but neither of those offer pours on drafts. Half Acre Balmoral is next door to Spiteful. As fun as that dance is, we usually just hit one `the other. The two taprooms we enjoy more consistently than most are Maplewood & Rev. 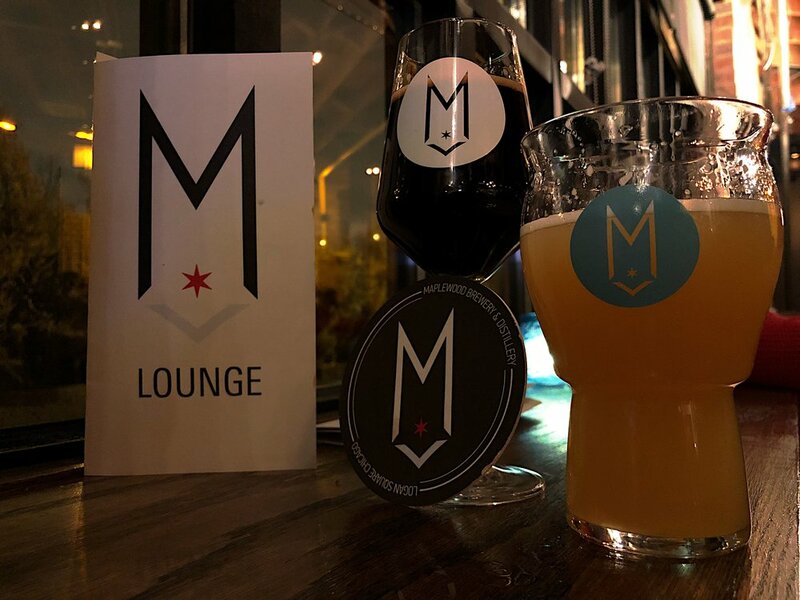 M Lounge is the type of spot that serves their imperial stout in a coffee mug. The space is also a distillery and the spot you’re likely to see local brewers chillin in the cut, enjoying the scene. On past trips we ran into Brewmasters Frank Lassandrello (Motor Row) at the bar with a Pulaski Pils, and Drew Fox ( 18th St) chopping it up with friends visiting from Russia. The addition of Haze God/ Head Brewer, Roger Cuzelis, (Cooridor, Forbidden Root) rounds out a lineup that has already seen 3 wins at Great American Beer Festival. 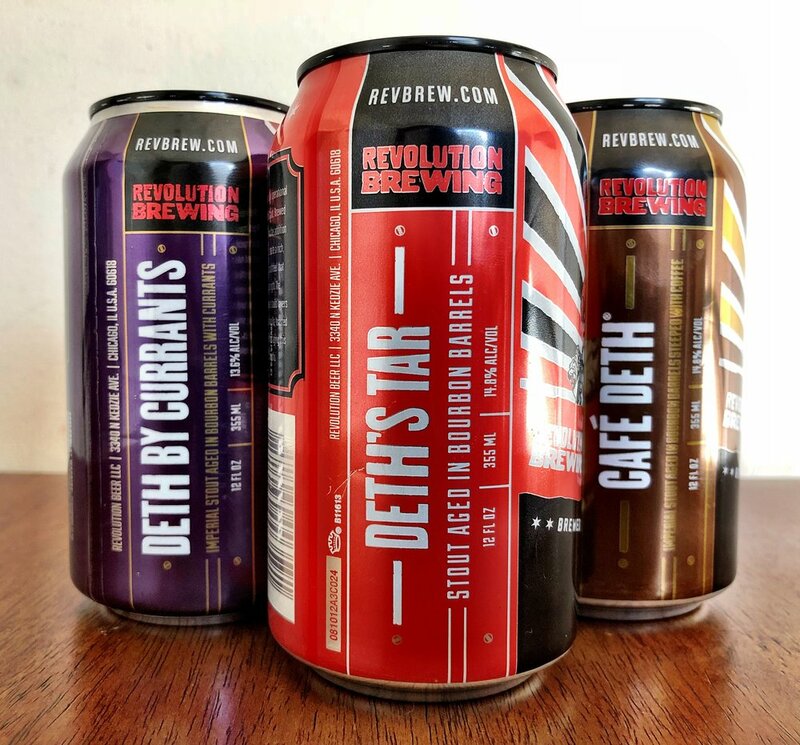 Revolution is the largest independently owned brewery in Illinois. RevKedzie is the production facility. It’s impressive that they’ve created a cult following around IPAs with the Hero Series and an equally strong (maybe stronger) one with the Deep Wood Series. With 10 releases rolling out over 5 months it’s the most ambitious schedule in the city. RevKedzie is much larger and more versatile that the original brewpub on Milwaukee Ave. Back in 2012 the grand opening served as the closing ceremony for Chicago Craft Beer Week that year. Recently it was selected as the venue for the inaugural Italian Beef Fest and has served as the Illinois Craft Brewers Guild FOBAB pre party celebration. For years it was the flagship evening stop for the old Chicago Brew Bus route.